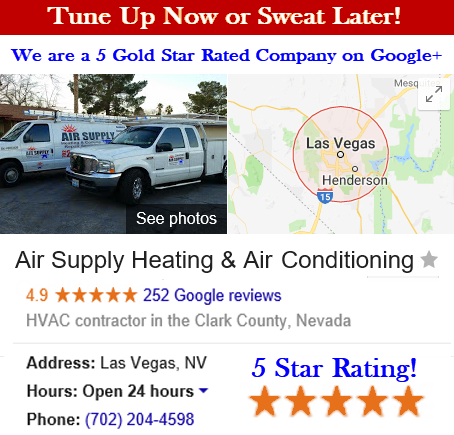 Air Supply Heating and Air Conditioning is a full service HVAC system contractor that caters to the commercial business owners and residential homeowners of the Las Vegas, Nevada Valley. 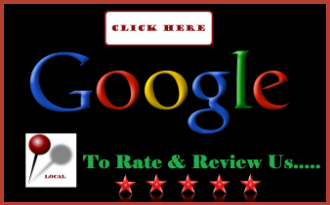 We understand that our customers are our biggest asset; with us being completely certified, licensed, and insured our team of elite technicians can deliver outstanding customer service and finished results. 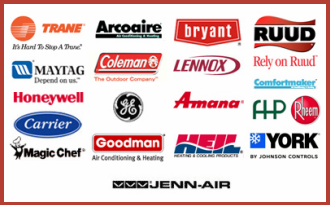 Air Supply Heating and Air Conditioning is committed to quality; using the high-end products and equipment to ensure maximum outcomes and applying professional courtesy and traditional values on consistent basis, Air Supply Heating and Air Conditioning provides a phenomenal experience every time you call for assistance. 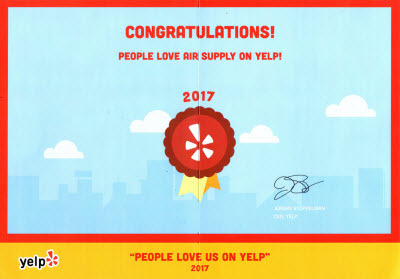 As Air Supply Heating and Air Conditioning is exceptionally diligent with our customer service, we do everything we can to convenient our customers. Providing troubleshooting for various issues helps rectify issues without professional services, or at the least, gives us an idea where to start when you can understand the issues. Air Supply Heating and Air Conditioning includes troubleshooting indoor HVAC system units to help you along the way. Indoor units in Las Vegas, Nevada and surrounding areas often experience leaks. You should never see pooled water surrounding the indoor units. Though it can be minor, such as a drip, leak, or not draining, it can lead to serious issues. Condensation issues are typically the reason as to the leaks. If the drain line is clogged you can generally clean out the obstructions yourself among other adjustments and realignments. But more often than not, a professional from Air Supply Heating and Air Conditioning will need to make the repairs to stop the leaks of the indoor air conditioning leaks. Furnace and humidifier leaks in the Greater Las Vegas, Nevada area are another common problem in the winter months. They too produce condensate that needs to drain. The indoor heating unit can experience drips, leaks, or even cracks, making the water leakage. The furnace isn’t the only unit to leak, as the humidifiers can as well. Generally, routine maintenance from the Air Supply Heating and Air Conditioning professional can prevent these leaks as simple cleaning will keep the issues from evolving. But if the furnace or humidifier has an issue, call in the experts of Air Supply Heating and Air Conditioning. The indoor unit’s fan will only shutoff from circuit breaker being flipped is a common problem Las Vegans face. After ensuring the thermostat is correctly set and the fan still won’t shutoff, you turn to the circuit breaker; you know there is an issue. Though a continuous running fan doesn’t necessarily have a negative impact, ignoring the problem isn’t the solution either. In the event the fan relay is stuck closed, a shorted thermostat cable, or a bad thermostat, an expert from Air Supply Heating and Air Conditioning can get the problem resolved quickly. When the Las Vegas, NV homes or business’s indoor unit’s fan won’t run, blow, or produce airflow, there is a problem. There are a few things you can do; start by making certain there is power; check the switch and breakers. Some indoor heat pumps have a breaker on the air handler itself. Ensure the air filter is clean, if not replace it. Finally, check the thermostat and switch it to “on” and inspect the vents to see if air is coming out. Check to see of the coils has frozen, if they have, switch it off immediately. Oil furnaces could have a problem with a worn out or damaged belt; if you are uncertain how to replace it, call in an Air Supply Heating and Air Conditioning specialist. If the fan is not doing its job due to a faulty motor, poor relay or fan control, bad fan belt, poor wiring, bad thermostat, frozen coils, or a faulty motor capacitor a professional of the Air Supply Heating and Air Conditioning is essential for a remedy. No matter the issue with the indoor unit in the Greater Las Vegas, Nevada area home or business, Air Supply Heating and Air Conditioning is readily available to get them back to their full potential. Contact us today!